MagicArchiver can create zip or 7z archives. The setup file will enable shell integration during installation by default. With the shell context menu, you can create an archive with a single click. 3. Under "MagicArchiver", click "Add to <filename>.zip". If you want to create 7z archive, please click "Add to archive...", then select 7z archive as output format. 4. 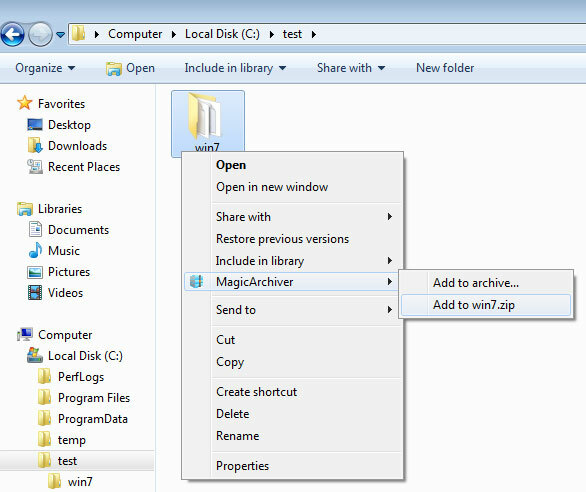 MagicArchiver will created the compressed zip or 7z file, and put it in the same folder.